Recently I’ve been asked for design and UX book recommendations fairly often, so I thought I’d put together a list of 5 of my favorite design books. I hope you love them as much as I do! And just in time for the holiday season! Feel free to direct that family member who keeps buying you socks to this list for gift inspiration. 😉 Enjoy! Bonus: I also adore the A Book Apart Series. You really can’t go wrong with those. My very favorite one in the series is Designing for Emotion. A year ago I was burning the midnight oil working on a project. My daughter snuck up behind me and peeked over my shoulder. 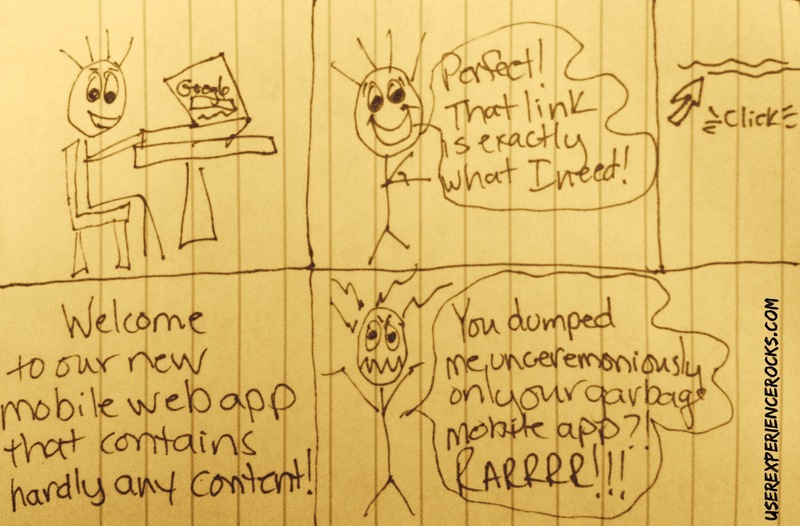 “Wait… isn’t your job doing UX?” she asked. I was suddenly struck with the realization that even folks who are professional designers have a tough time explaining the difference to each other, let alone trying to explain it to family and friends. And kids (mine included), know IMMEDIATELY if you’re BSing, and they aren’t afraid to call you out. After giving it some serious thought I whipped out my trusty Sharpie and some Post-it notes and started to doodle. I wound up with a little dude with spikey hair on a bicycle. I was so pumped. Clearly it wasn’t a comprehensive explanation of every nuance between the two, but she grasped the high level concept in seconds. At that point I decided, on a whim, to post a pic of the doodle on Twitter. I had never posted a single one of my doodles anywhere on the internet in my entire life, because, not going to lie, stick figures are the extent of my artistic skill, but I figured that maybe some parents somewhere could use it to explain what they do to their kiddos too. I got up the next morning and flipped open my Twitter app and was astounded to discover that over a hundred people had retweeted my doodle. This was back in the day when I only had about 1000 followers, so the number was crazy to me. I manically started replying to each person thanking them for their retweets, and wished A LOT that I had branded my blog URL on the doodle. Lesson learned. 3 days later thousands of people had tweeted, retweeted, shared, favorited liked and posted my Post-it note doodle all over the inter webs. Folks had even begun translating it in to other languages! All of a sudden, I started getting a flood of emails related to the doodle. People began asking to use it in articles and presentations. Professors emailed asking if they could include it in their design curriculums. 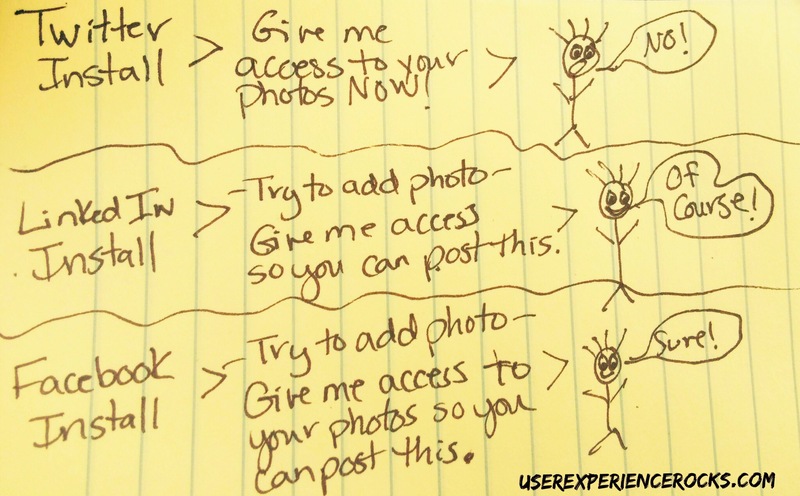 A publisher contacted me and asked if I would consider writing a book about user experience. Not one, but 2 authors asked if I would illustrate their books. A flood of requests came in asking for t-shirts and mugs and wall prints. My blog blew up. I went from a few hundred readers each month to an audience of thousands of readers each month. It was by far the most excessively random thing that had ever happened to me in my entire life. Never under estimate the power of doodling. Even a picture of a stick figure on a death trap bicycle can get a concept across. Who knows what kinds of concepts your doodles could could bring clarity to. Takeaway: Don’t be afraid to start sharing your doodles! And especially don’t fear doodle haters. There are people out there who hate Picasso paintings, while others pay millions to own one. Art is in the eye of the beholder, so just man up and share your work! There could be far more power in your doodles than you’d expect! I Did My Taxes On My Phone This Year! TurboTax Mobile Site FTW! 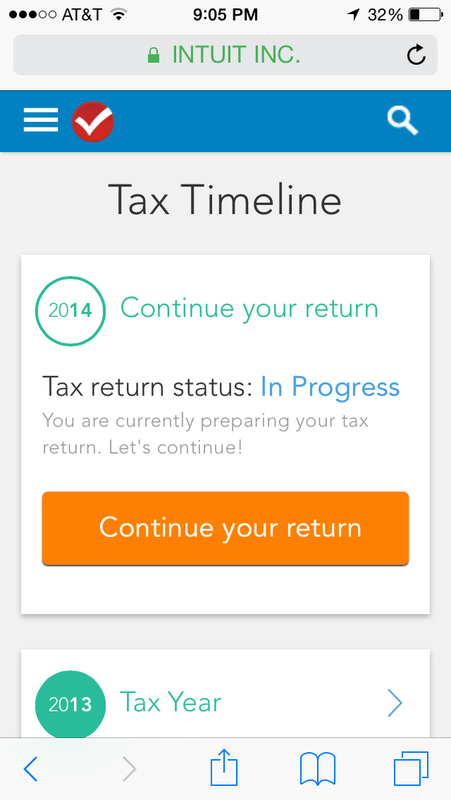 So I kind of wish I could kiss every member of the TurboTax mobile design team. I did my 2015 taxes ON MY PHONE! And it was, *gasp*, FUN! When I say, “did my taxes,” I’m not talking 1040EZ… I’m talking mortgage, student loan interest, kiddo deductions, stock, IRA etc. style taxes. It was unreal. Every time I got a new tax form in the mail I’d whip out my phone, enter the deduction, save it, and think, “Dude… I’m doing my taxes on my freaking cell phone, and the UI is amazing!” Then I’d grin like a raging weirdo. A task that is normally boring and stressful and frustrating was full of unexpected delight. This experience was exceptionally better than my usual system, which is spending a week of being stressed to the max, rifling through piles of paper trying to find copies of lost tax docs all over my house. The hamburger could use a menu label, but otherwise the UI was flawless. Perfect touch target sizing, clean inputs, clear fonts, simple nav, easy editing/deleting, etc. It’s beautiful and easy to use and I love it. Huge kudos to the entire design team at TurboTax. Your clean, seamless mobile UI and absolutely fab UX have me looking forward to doing my taxes in 2016! Thank you for taking the agony out of tax submission time! Bravo! And seriously people, if they can make an app used to do taxes this fabulous, apps for every other industry have a chance. They took the most boring, borderline excruciating task on earth and flipped in into a mobile masterpiece. There are no excuses left now, the bar has been set! You know what fills me with instant rage and just about gives me a nervous twitch? When I’m Googling the daylights out of something, and then, like a ray of light shining down from heaven, a link to exactly what I need from a reliable source appears on the screen. I do an internal happy dance, click the link and am redirected to some mega lame, poorly executed mobile web app that hardly contains ANY content, let alone the content that I really need! And then, in tiny letters at the bottom of the garbage mobile web app screen, there is a link to the desktop site. This phenomenon is especially frustrating when I’m trying to buy something online. The result? I go back to the search results page and click the next link. I do NOT click through to the desktop site and search again. One person not buying due to garbage mobile UX? No big deal. For a major retailer, thousands of online shoppers getting frustrated and going to a competitor site with a better mobile experience? It’s a huge deal, and the lost revenue dollar signs escalate exceptionally quickly. If your company moves to a mobile web app experience, keep a CLOSE eye on your conversion rates. I’m far from alone in my intense hatred for search redirects to lame mobile web experiences.